I can still remember when I was a kid and our basement flooded. It was a complete mess and it took hours and hours of clean up. It is a memory that has lasted for me forever and I now that I am a homeowner, it is a BIG fear I have every time we have a big storm! 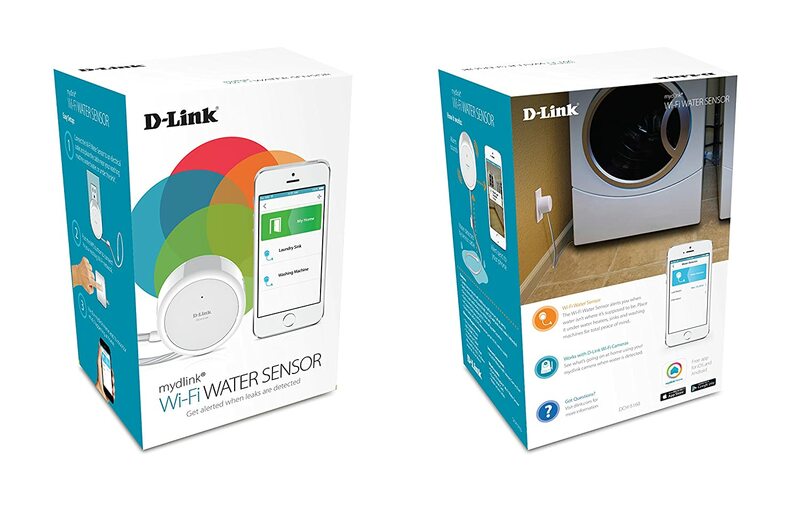 But I have gotten some peace of mind now that I own the D-Link Wi-Fi Water Sensor! The Wi-Fi Water Sensor (DCH-S160) is a compact device that plugs into an open power outlet and alerts users with a loud siren whenever it comes in contact with water. In addition to the audible siren with six different customizable tones, customers will also get push notifications with the free mydlink Home app on their smartphones or tablet to ensure they're aware of a water leak no matter their location. 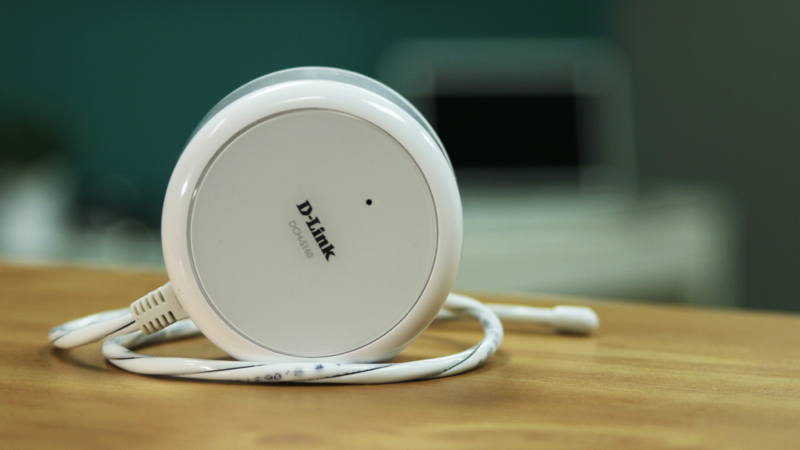 The Wi-Fi Water Sensor can be placed near washing machines, sump pumps, water heaters, sinks, dishwashers, refrigerators, or anywhere in the home where a water leak may occur. The Water Sensor comes with two cables: a 3.3 feet extension cable and a specially designed 1.6 feet sensing cable that detects water along its entire length. When water is detected, a 70dB alarm will sound and an LED will flash to give users audio and visual warnings. 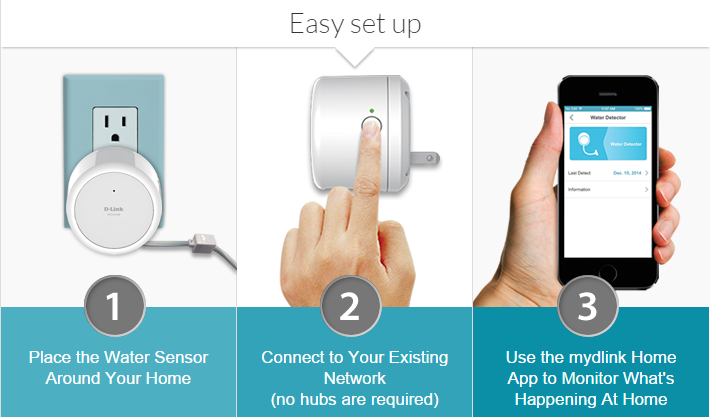 * Simple Setup - Wi-Fi Protected Setup (WPS) button and mydlink Home mobile app offers quick and easy setup to connect to connect to your existing Wi-Fi network. Besides the great peace of mind I have using this Water Sensor, I also LOVE how easy it is to set up! Just set it up in minutes with 3 easy steps! So if you are doing a DIY project around a water supply and are worried or are just looking for peace of mind in your house, then you need the D-Link Wi-Fi Water Sensor! 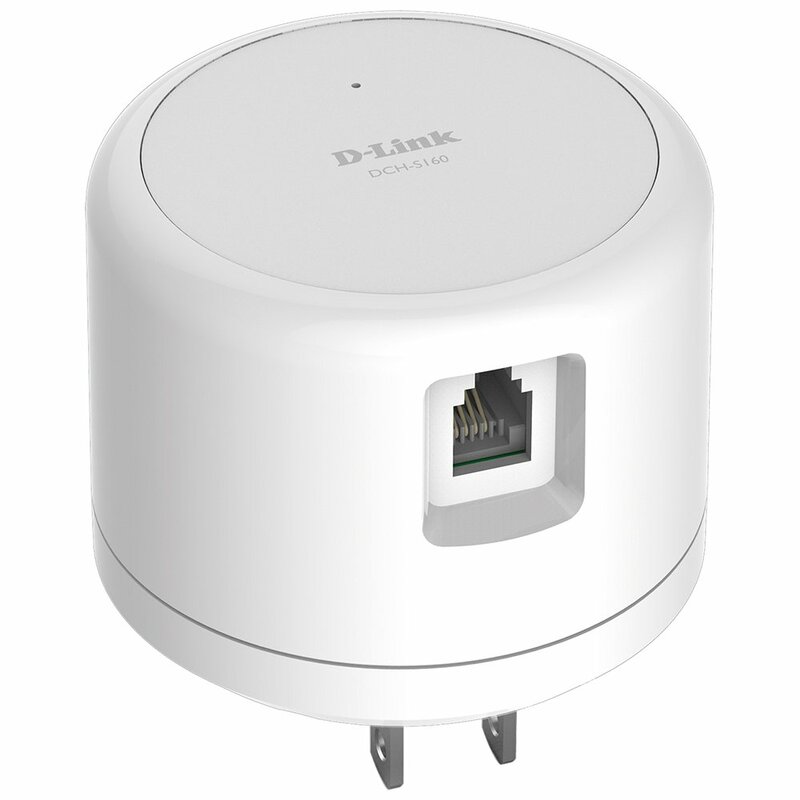 You can purchase the D-Link Wi-Fi Water Sensor (DCH-S160) for $65.99 at Amazon.com, Bestbuy.com, and throughout D-Link's vast network of retail and e-tail outlets.